The newest office tower in the Town Center of Virginia Beach is one component of a larger mixed-use development that was completed in 2014. 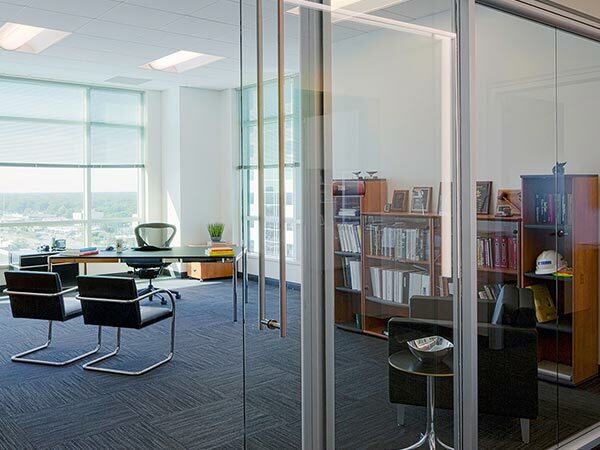 The 15-story office tower, designed and anchored by Clark Nexsen, was built to offer a strategic location to businesses seeking some of the most desirable Class A office space in the Coastal Virginia MSA. 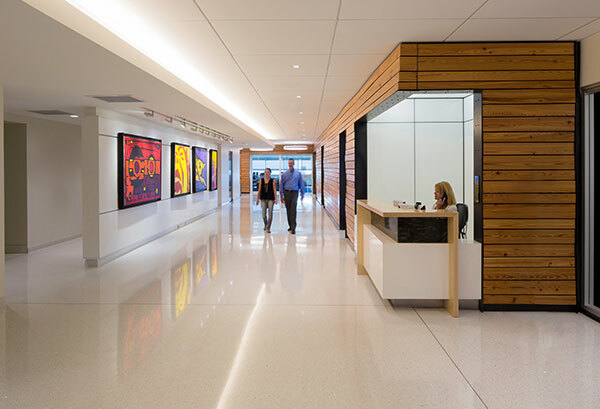 The Clark Nexsen office, located on the eighth and fourteenth floors of the office tower, was designed to optimize the health and well-being aspect of the interior environment. Sustainable choices included in this buildout project included extensive glazing to capitalize on daylighting, with opaque elements such as walls located at the building core; a stunning, reclaimed wood feature wall in the lobby; recycled glass countertops; low or no VOC paint, adhesive, and finish materials; LED fixtures; and the selection of products with a long life cycle such as terrazzo lobby flooring.